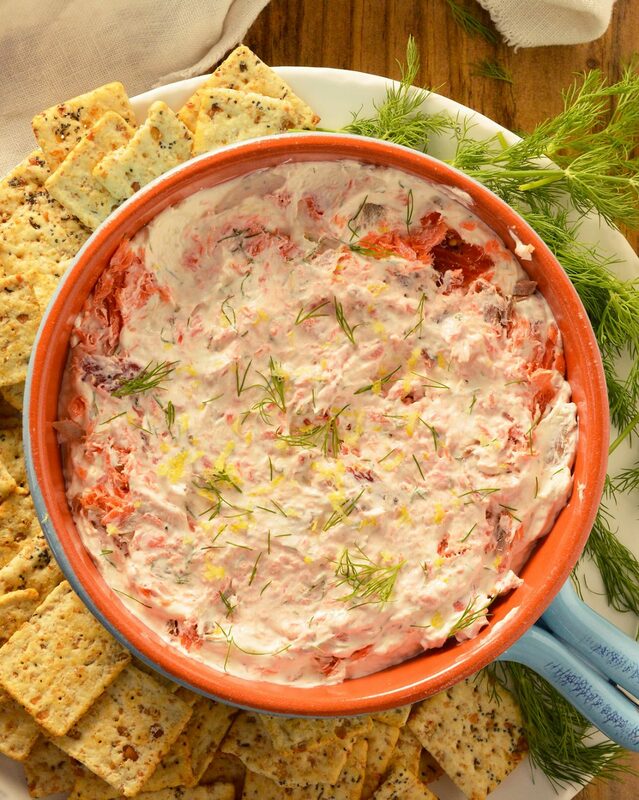 This Smoked Salmon Dip is one of my family’s favorite holiday appetizer recipes. 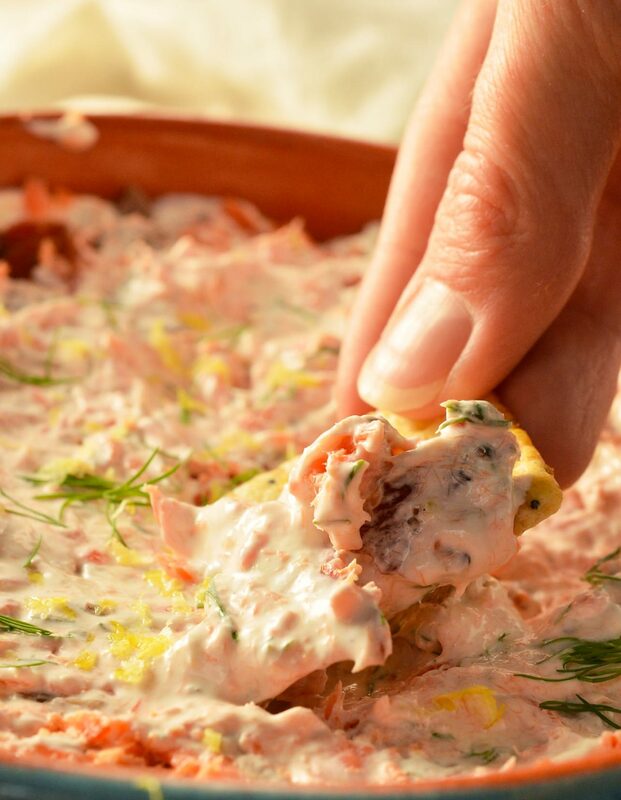 Every year I make this creamy dip full of smoked salmon, dill and lemon. It’s no wonder this family favorite made it into my homemade cookbook. This tasty recipe is sponsored by CreateMyCookbook. It’s no secret that I am a sucker for dips, especially cheesy dips. I have been really focusing on a healthier diet and lifestyle this year and the cheesy dips are hard to pass up. 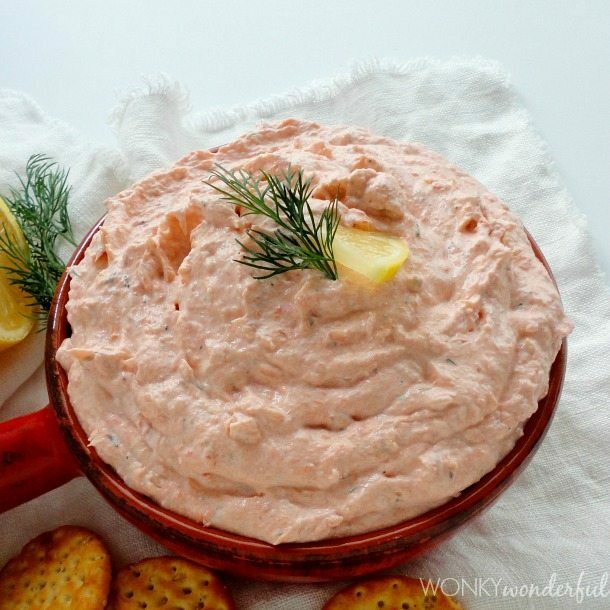 I do splurge on my favorites like this Smoked Salmon Dip. In fact, I enjoyed almost an entire batch over the Thanksgiving weekend ← Don’t judge me! That is why I knew this recipe had to be included in my CreateMyCookbook Custom Family cookbook. 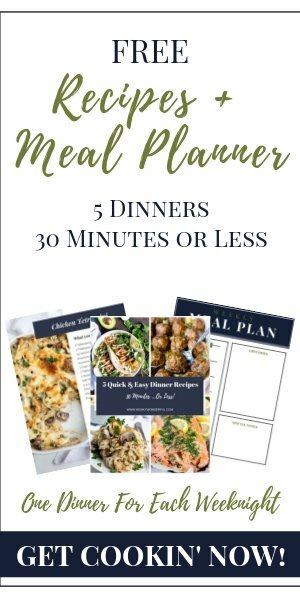 I have been wanting to create my own personal cookbook for a long time. But I always kept putting it off. If you are doing the same, do not put it off any longer! I am so happy with my finished cookbook and it will sit proudly on my bookshelf for my entire life . . . or until I give it to my daughter. This is a quality cookbook with beautiful bright photos and lots of personal touches. 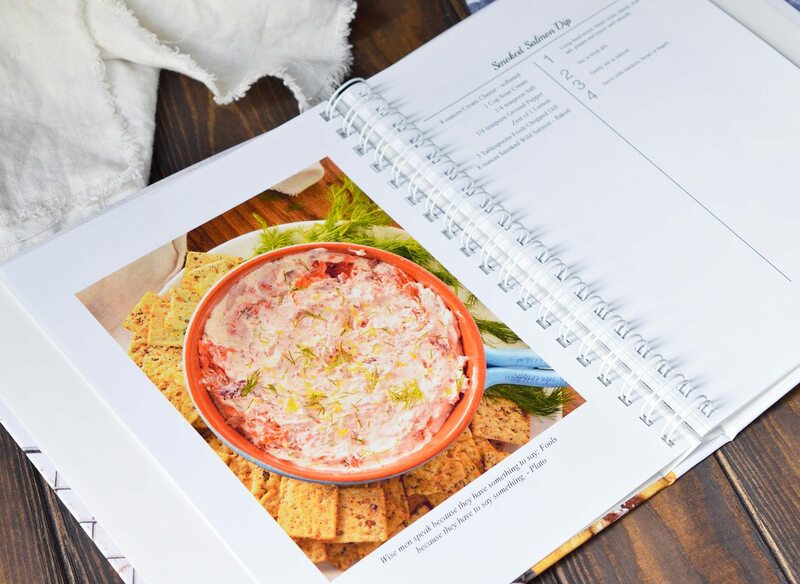 When you get your cookbook in your hands you will feel so excited and accomplished. And, extra copies would make absolutely perfect gifts for family and friends. Seriously, this will be one of those cherished possessions. CreateMyCookbook.com makes the process super simple. I may have my own blog but I am not tech savvy by any measure. Learning new programs is usually a slow painful process for me. Which is why I was so surprised at how easy this was for me. I didn’t get frustrated and curse at my computer screen even one time . . . that like never happens! To get started, first choose the type of book and biding you want. Then add recipes, photos, funny family stories, memories, quotes, whatever. It’s your book! You get to customize it however you want. Personalize your cover, choose a title and even add a dedication page. Then just publish and order as many copies as you want! 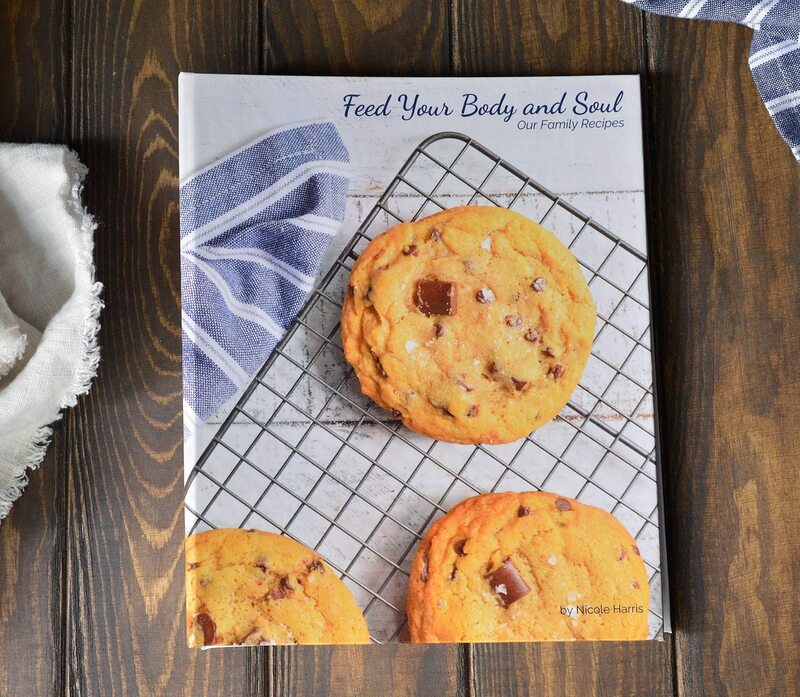 I named my cookbook Feed Your Body and Soul because I tend to be a little hippy-dippy in real life. I included a famous quote with each recipe. Food for the belly and food for thought ???? Each of my recipes was accompanied by a photo of the finished dish and some even included family photos. If you include one of your grandma’s favorite recipes, add a beautiful photo of grandma to go along with it and maybe a story about her. I can’t think of a better way to show appreciation and love for family, friends and ancestors. Nowadays we have sooooo much information online and everything is digitalized. Our stories, our past and our heritage can easily get lost in it all. This is a way to keep hold of that in a tangible way. Not everyone is great with food photography so I’ll give you a few tips. First, make sure the photos are jpeg and have a resolution of 300dpi. This will ensure that the larger photos will look clear. The smaller photos are a little more forgiving. Second, natural light only! I have a table set up next to my largest window and that is where I take my photos. Third, clean the space around the photo area. you don’t want cords, papers or random clutter in the background of your photos. And take photos at several different angles so you have a few to choose from. 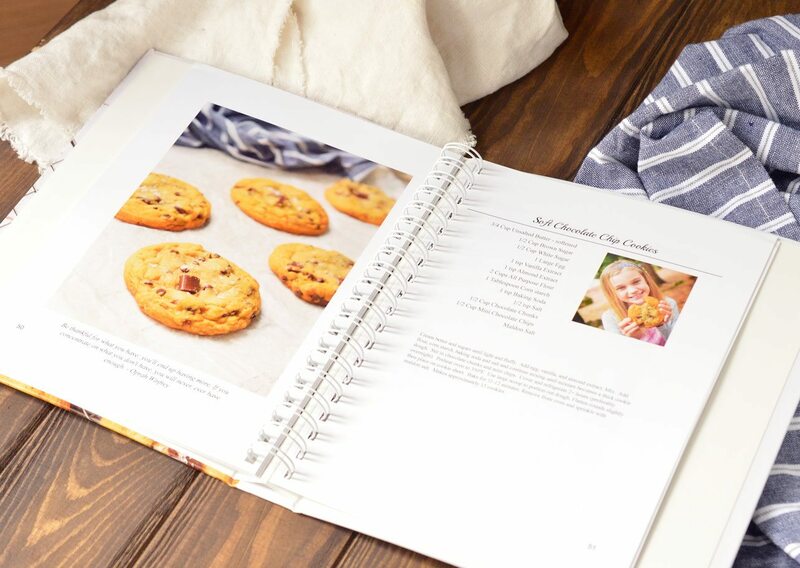 Of course, if you just do not want to fuss with food photography, you can either create a cookbook with print only or add family photos to go along with the recipes. It’s your book! For creamy dip - combine all ingredients in food processor and pulse until combined. For chunky dip - combined all ingredients except the salmon. Pulse in food processor. Add the smoked salmon and mix into creamy base with a fork. Taste and add more salt, dill or pepper to taste. This dip looks amazing! And I seriously need to check out Create My Cookbook! How fun! I did this and it turned out really good! Thanks! This dip sounds wonderful. And I just LOVE family cookbooks, what a beautiful keepsake!